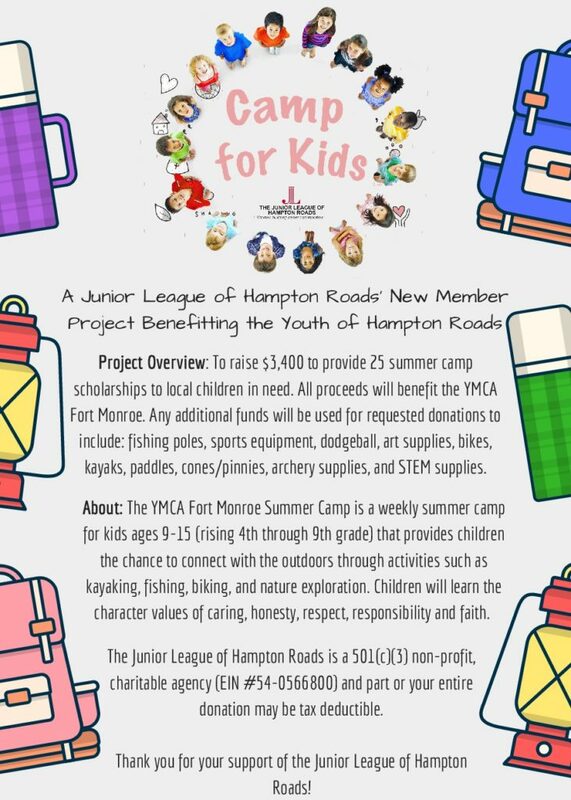 This year, the New Member class of the JLHR has partnered with the YMCA’s Fort Monroe Camp for Kids. The New Member class aims to provide 25 summer camp scholarships to local children in need. To support their efforts, donations to “Camp for Kids” can be made by clicking here. Update! As of April 16, 2017, we have raised $535, which is just over four scholarships for the Fort Monroe YMCA summar camp. We are grateful for your donations to this great cause! 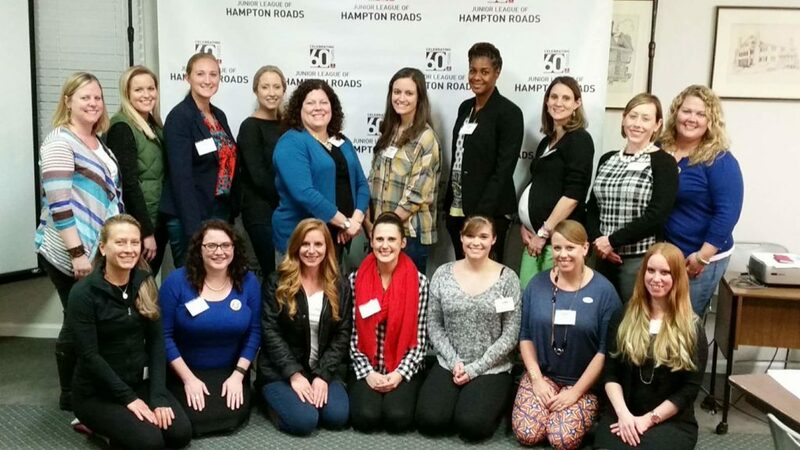 The 2016-2017 New Member Class of the JLHR is a group of 15 women from diverse backgrounds and work/life experiences. Along with their two Active member mentors, this group of women has been hard at work learning about the history of the League, its impact on the community, and how they can make a difference as trained volunteers. If you are interested in learning more about New Member status, we would love for you to join us!